Join us this October for the Halloween Spooktacular at Monkey Tree Holiday Park where there will be a fantastic week of half-term entertainment for the whole family. Plan ahead and bring your fancy dress (click here for plenty of costume ideas for the whole family, including the dog) as there will be a prize for the best dressed. There will also be frightening food, terrifying treats and fun-filled family games. The entertainments team also promise another terrifying horror house, which will leave you quivering with fear. Enter at your own risk…. Entry to the Horror House is free for guests and seasonals staying at the Park, or you can purchase one-time tickets online. If you live locally, just come for an evening of Halloween shocks and frights. Simply select either Thursday, Friday or Saturday from the dropdown, then select the number of tickets in each category and checkout. Your tickets give you access to all on-site facilities from 5pm. Doors to the Horror House open at 7pm each day. Available Thursday 25, Friday 26 or Saturday 27 October 2018. You will receive your tickets by email. The Horror House it not suitable for those with a heart condition, medical sensitivity to strobe effects, fear of enclosed spaces, and those who scare easy (seriously, Funky Monkey is still having nightmares from last year). Prices for holiday homes have been slashed by 50% this October half-term. Plus, get 8 nights in a holiday home for the price of 7.
and the spectacular Groovy UV Show. 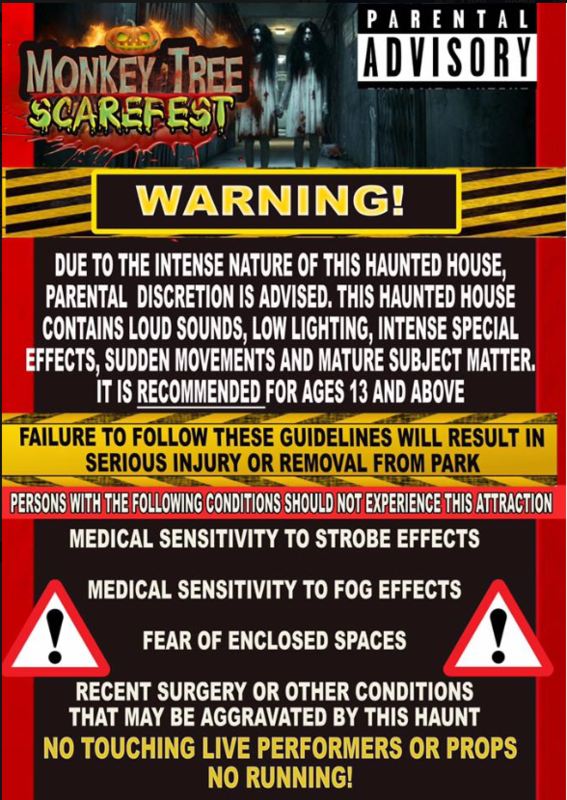 Please note – the Horror House is not suitable for all audiences and contains adult themes.